Sometimes a big news article can serve as a reminder of spiritual things. Here's a thought shared on Facebook by a friend of mine. 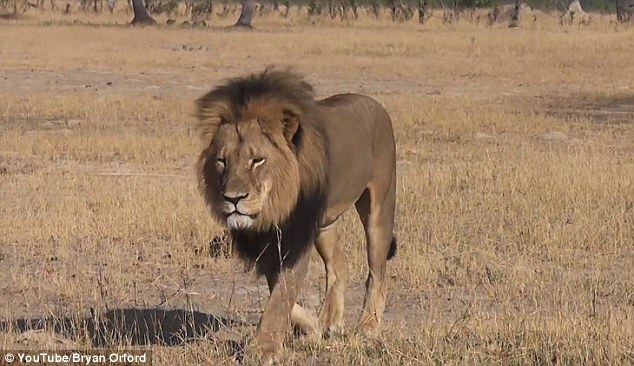 There was & is no outrage for this Lion like there is for poor Cecil & this Lion was not mounted on a wall & no selfies were taken but they beat & tortured this Lion while still alive & then strung this Lion up on a Tree on Golgotha to hang for all to see & enjoy & then let the Lion hang till the Lion drew his last breath! Plz like & share not for Cecil the lion but for the REAL LION who died for the likes of me & you!!! Sorry Cecil you won't live again, but THIS LION OF THE TRIBE OF JUDAH REIGNS & LIVES TODAY despite the cruelty shown to HIM & unlike Cecil HE never would attack you but rather chooses to SAVE you despite our cruelty to HIM!! !